September 20, 2017 56 Comments This post may contain affiliate links. If you are visiting from the amazing Shabbyfufu Blog, WELCOME! I am so happy to have you here. Janet is such a talented lady, I’m thrilled to tell you guys she is just as nice and kind in person as she is on her blog. I loved meeting her and talking with her this summer at a blog conference we both attended. You will see our style is different but our love of vintage is the same! When I see the latest trends I immediately feel like my junk lovin, cheap décor buyin’ self needs to shift to the masses. Only when I have moments of clarity and remember that my family and I are the only ones I aim to please when it comes to decorating do I climb off the ledge and settle into what my makes my heart sing. I have a few things I’ve learned over the years that have helped me evolve in my style and décor choices, I am hopeful they will help you too. 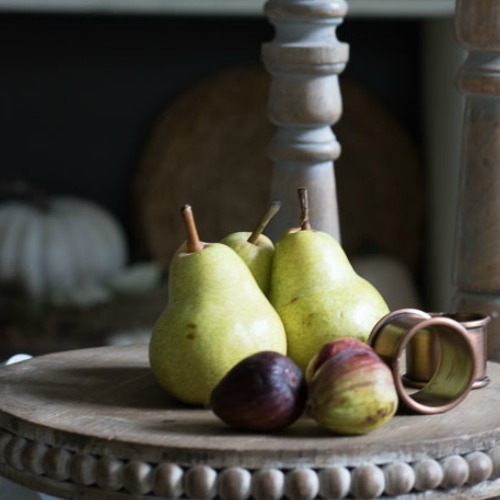 Here are a few tips to help you gain confidence in making your own fall décor style. 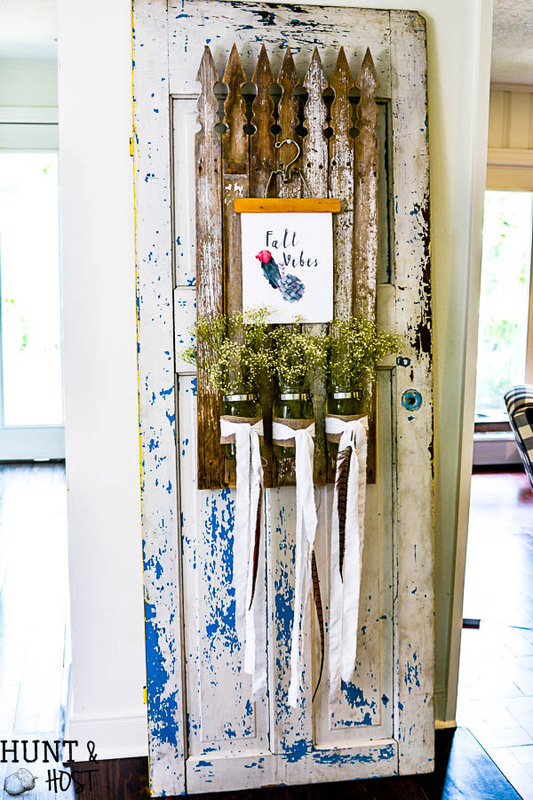 Stop with the labels – This year I have a little more “boho” feeling vibe to my fall décor and for all the purposes of this blog I call it that because I am not sure what else to call it. My kids want to know what boho is because the word means nothing to them, lol. Unless you are super niche in your style the labels shouldn’t matter to you either! Just go with what you like and if it happens to fall under the category of one style or five, roll with it. 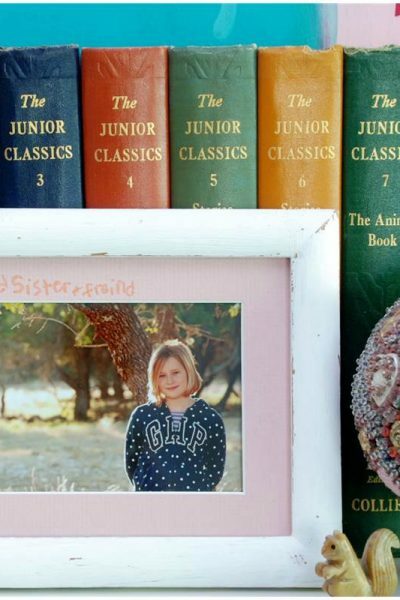 You will see I am a mix of vintage, farmhouse, boho, French country and classic décor. Maybe more or less. 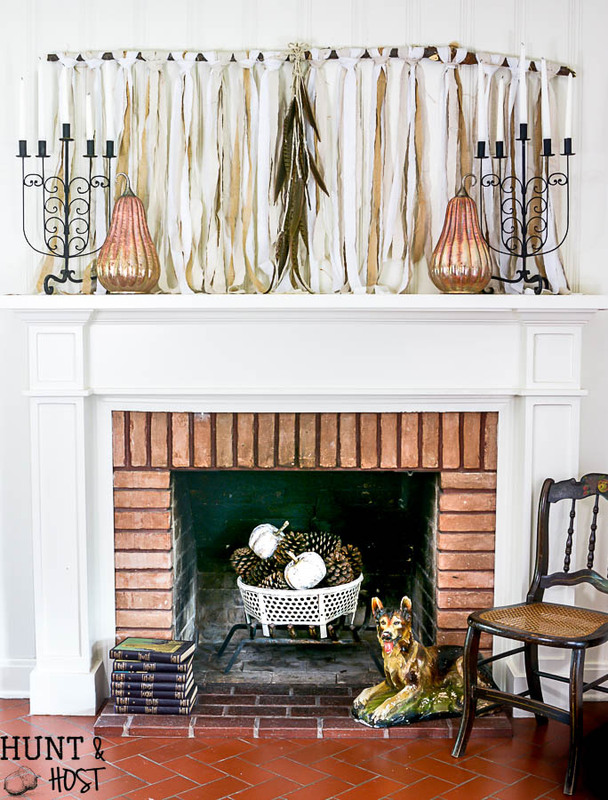 I am a décor mutt to say the least and it works for me. So go all Heinz 57 with your bad self! You can see the rest of my fall table here. Update as you go – Decorating can get expensive if you haul off and change everything at once. Build elements into your stash that you can gradually add to over the years. Strong base pieces that are less trendy are great to have on hand. Then each year pick up a few new trendier pieces to layer in. I love these pillows I got from Kirkland’s. This year it was time for me to up my pillow game! I only added a few new things to my fall décor this year, pillows being one of them, but it looks completely different than last year. Plus there is nothing worse than buying all new stuff this year only to hate it next year when you pull it out of storage! If you go slow this won’t happen. Paint stuff – Want to go white this year or feel a strong pull to layer in pops of blue or green to your fall décor? 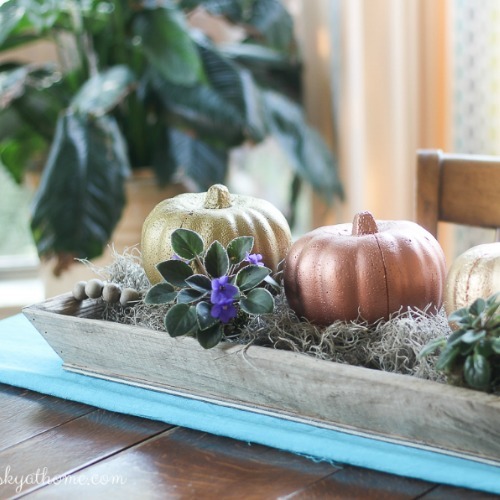 Don’t toss your old pumpkins and décor pieces, just paint them! Then next year when you want another change, paint them again! 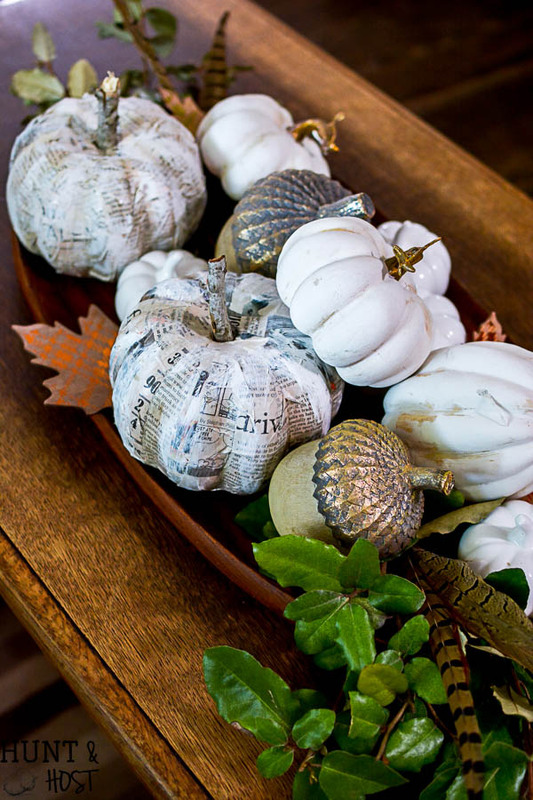 It takes no time to do and adds your personal touch for your own fall décor style. 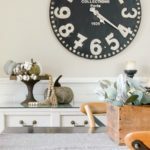 Gather ideas, then use what you have – My fall home tour today is part of a huge group of bloggers bringing you beautiful fall décor ideas. Take some time to visit their homes and gather the ideas you like. 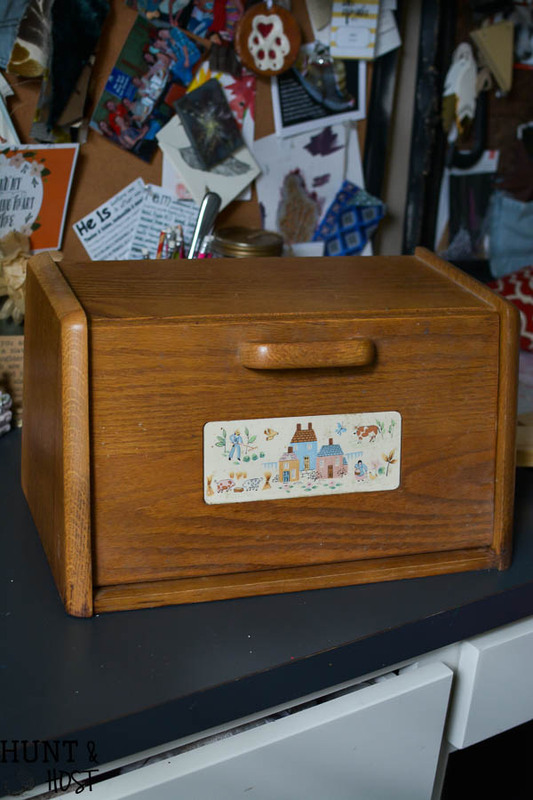 Next spend time going through your cabinets and closets to find the similar items you already have on hand to pull in the designs your admire. Because this fun tour was sponsored by Kirkland’s you will likely notice a lot of the same products, but used in different ways. It just goes to show there is no correct way to decorate, it’s all about your personal touch! These metallic glass gourds where a new addition this year…I had everything else! 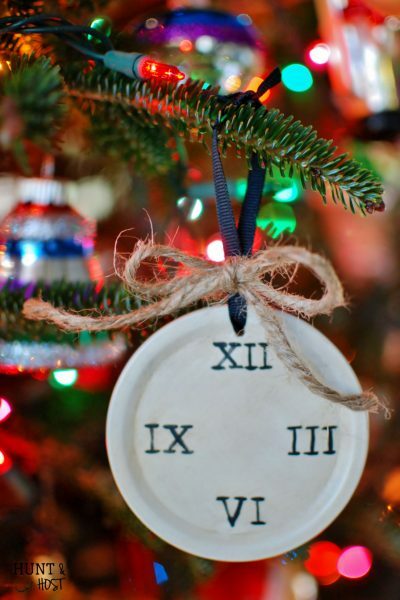 Start small – I only decorate a few select spaces in my home each holiday. This makes the whole process fun and manageable. Don’t get overwhelmed thinking you have to decorate the whole house. If all you can swing this year is a great table setting then go for it and maybe next year add in changing up your mantel. 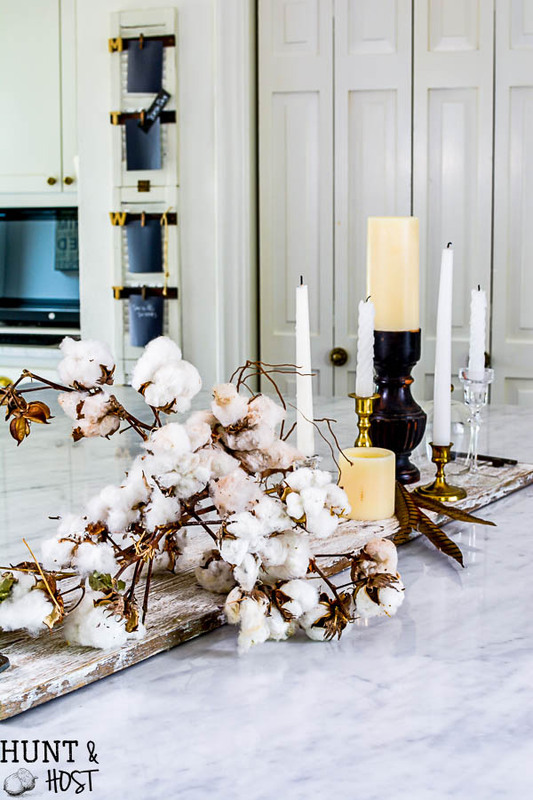 The slow process of getting to know select areas in your home help you shop sales and out of season because you start to envision these little vignettes in your home and making them your own becomes second nature. Once you master one spot move to the next. I added the front porch this year and it has been so fun to decorate! Use free artwork – There are SO MANY free fall printables around for you to use, find one you love and build a space around it. 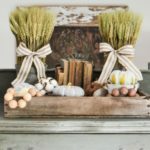 This could even help you set the tone for making your own fall décor style if you aren’t sure where to start. Just search Pinterest for a ton of freebies at your fingertips! (I have some for you here!) When you have free stuff it helps open the budget to add in those other trendy items I talked about earlier! Color outside the lines – While I adore traditional fall colors, you may not and that’s ok! Go bold with an off the beaten path color for any season if that is what fits your décor style. The last few years I have added lots of plum purple to my fall lineup and I love it, but only for fall otherwise it doesn’t really blend with my day to day décor. Season are a fun time to change it up. Have fun – this is an extension of tip #1 but really and truly if you and your family walk in the door loving what you see that is all that matters. I love making our home bend to the seasons, it lifts my spirits and hopefully those of my husband and kiddos. Instead of feeling like a chore it feels fun and exciting, I love to get creative and expressive through the décor I sprinkle in our home. 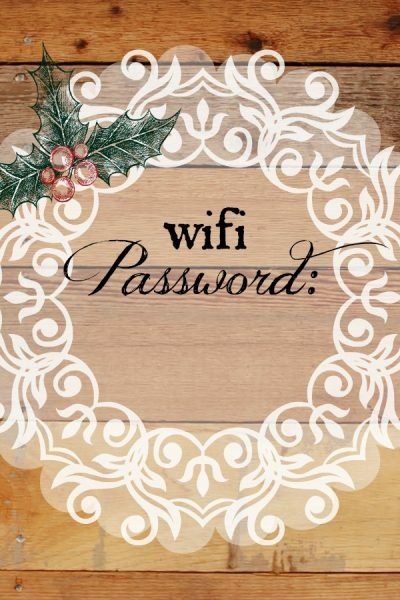 Decorating isn’t the most important thing in the world, but serving your family sure is! Chances are if you enjoy decorating too then it is a special gift God shared with you in hopes that you would share that gift with those around you, so have fun using your gifts to bless others! I hope you enjoy touring the other homes today, thank you for coming to mine! Next please head over to my friend Roxanne’s, she has gorgeous style, but I know her and love her personally too!!! She blogs at The Honeycomb Home. Shop My Fall Style to Start Your Own! Now visit these houses to see what you want to scoop up with your winnings from Kirkland’s! 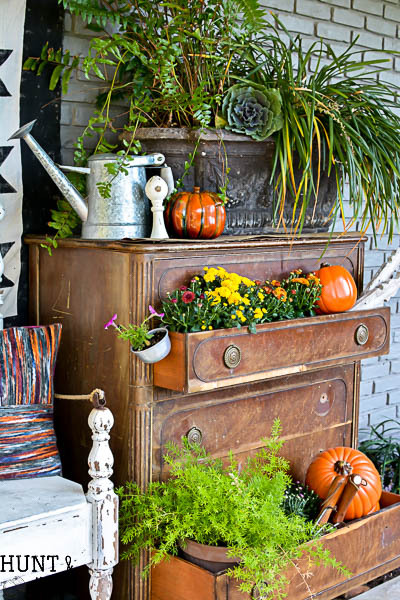 I love how you have “decorated” the old dresser for fall…..so pretty and fun!! My favorite Kirkland’s fall products are the galvanized pumpkins! yes, those are really cute too, they had a bunch of great stuff! So pretty, Kim! You have a beautiful tour. Kim, your home is lovely! I love a little boho! 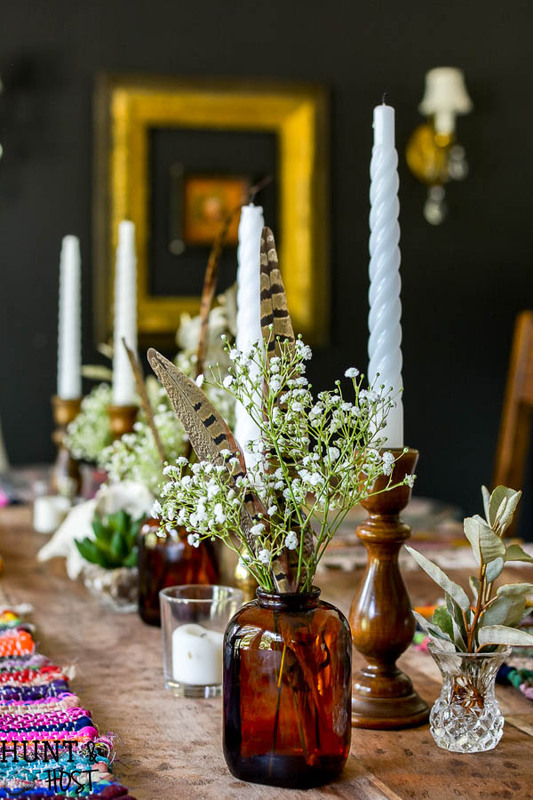 Your dining table is gorgeous – love the addition of feathers and the brown bottles – they have a special place in my heart. I’m with you – I think I like decorating for fall more than Christmas! yes Jennifer, it is so fun, the colors are so wonderful! 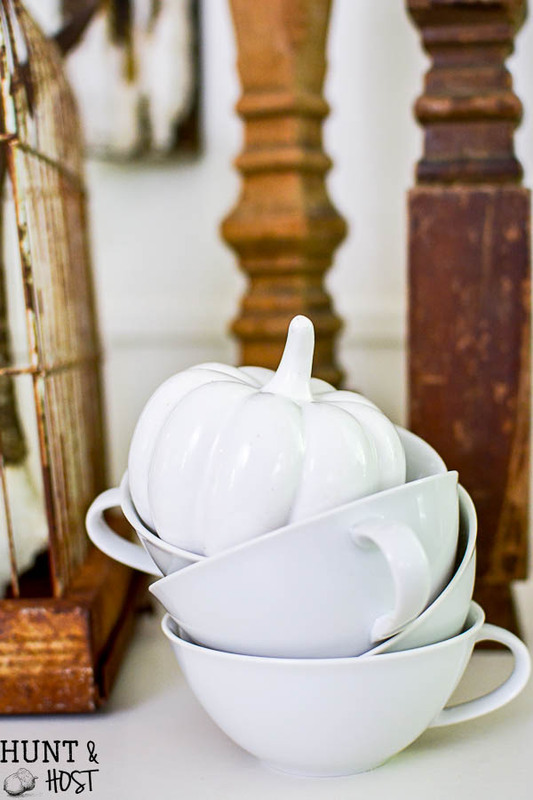 Love the white pumpkin with the white tea cups! The dresser looks fantastic! I love your style Kim! 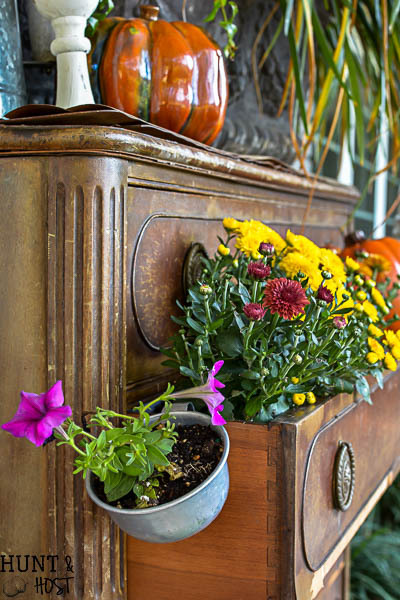 That dresser on the porch is amazing and all of the fall touches you have are beautiful! Happy Fall! 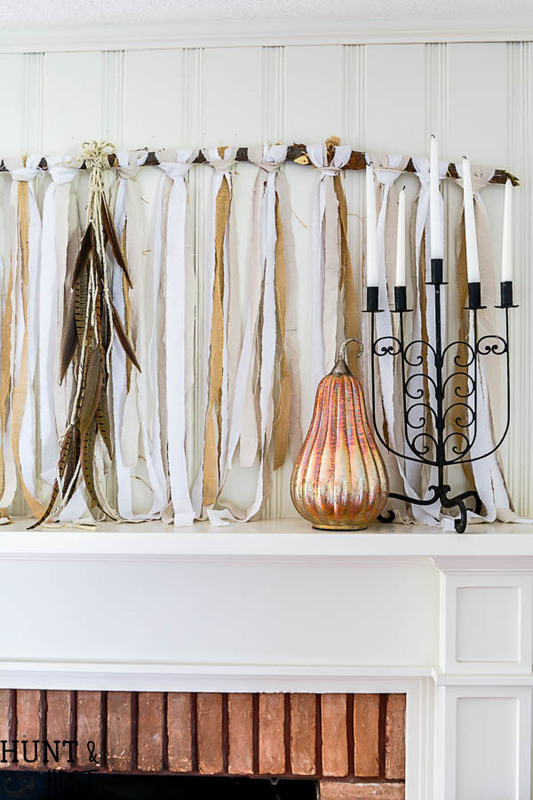 So much fall decorating inspiration! I love all the pumpkins and fall pillows. So cozy! Thanks for the giveaway opportunity! Kim, so great to meet up again after visiting at Haven and happy to be on the Fall Home tour with you. 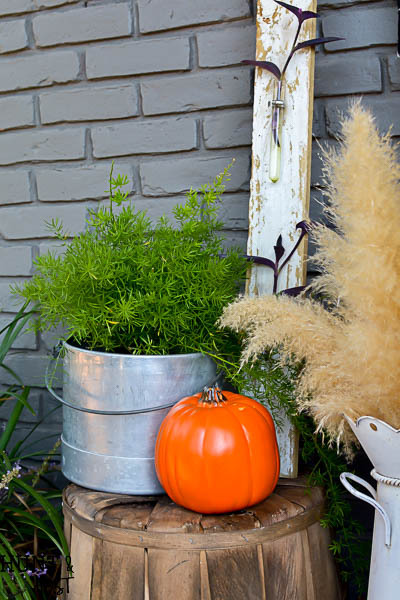 Love your fall decorating tips. I’m especially gaga over the chest of drawers with all the beautiful flowers. Your gathering of pumpkins in different textures in the tray is lovely. Good morning Kim. Thank you for opening up your home and your fall decorating ideas. I love all the traditional colors of fall and so glad to see you incorporate them, for you and your family. That truly is the most important, making your home a comfort to you and your family. Blessings and smiles, ???? thank you Emilou, I am so glad you liked it and everyone must do what’s best for their peeps! Thank you Shannon – I appreciate you stopping by! 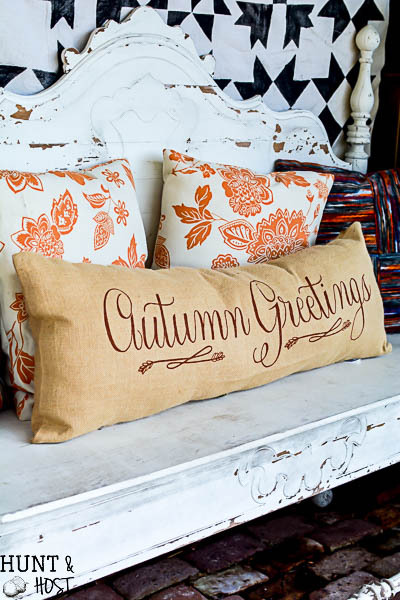 Love it all, but especially your bench with the”autumn greetings” pillow- so beautiful! 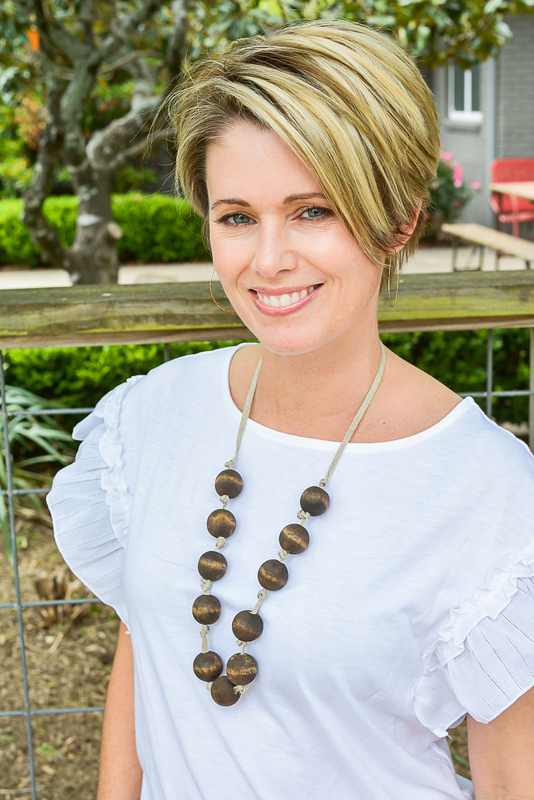 So glad to get to blog hop with you this week! I love your style, sometimes its good to do something different. Kim, it all looks just great, thanks for the ideas. Thank you and I agree changing it up is good! I love your style Kim…and it was great to connect in person! 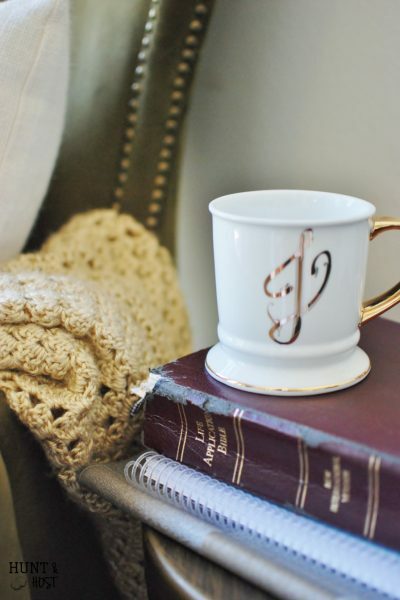 SO many cozy Fall touches! Kim – your photography takes my breath away! 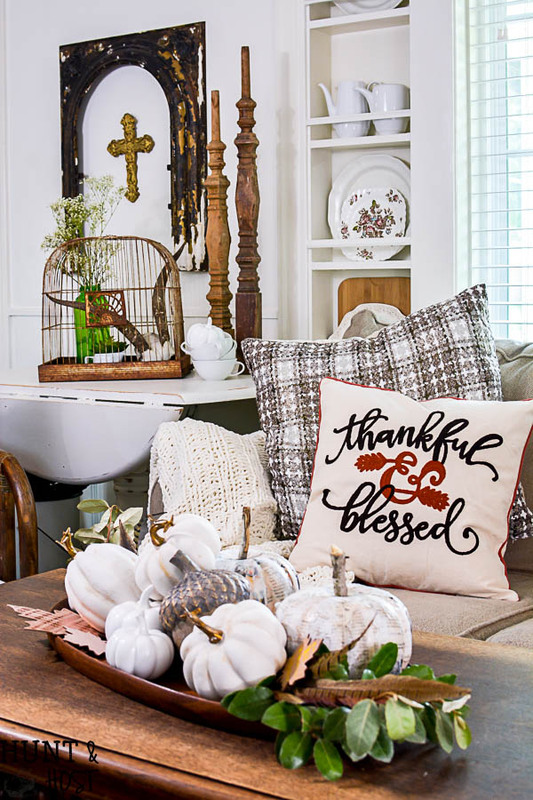 I love all the fall touches in your beautiful home! thank you Jen, so glad you enjoyed it! I’m crushing on the fall wreathes! It’s still 100 here in San Antonio so it just doesn’t FEEL like fall, but the wreathes remind me that it might be someday? we can hope right? It is so HOT!!! I visited Kirklands… Oh my. I guess I love the Fall decor, lamps and chair selections the best. Yea. I could go crazy…. I love YOUR mix of whatever you like to decorate with. It works that way for me too! Don’t they have so fun stuff! I hope you enter to win the gift card! Good luck to you! I love the metal pumpkins. I hope they have two left! Beautiful tour, Kim. I love your tips and decorating style! So pretty! I love the pillows the most! So beautiful! Love that bench with all the gorgeous pillows! Fun to be on this tour with you! thank you – glad to be here with you too! So glad I’m not the only one who does my “own thing”. If I like it, I make it work. Beautiful Fall home, Kim! Was happy to tour with you! Happy Fall! Wow so many great ideas Kim! I love how you used things in such unique ways!! Great home tour!! thank you, it’s been a fun mix up this year! So many great ideas Kim! That old dresser packed with mums made my heart skip a beat. Beautiful, friend! Thank you Amanda, I am loving my new decorating spot! Such wise words! It is so easy to get wrapped up in what everyone else is doing. I love your take on fall. 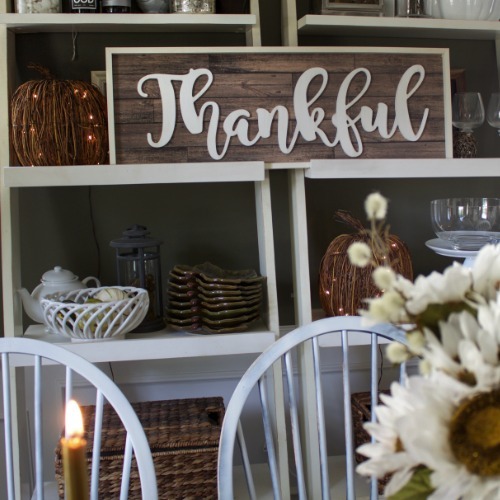 The dresser is simply amazing all filled with pretty fall touches and your table setting is perfect for a fun gathering of friends and family! so glad you liked everything Amy! Loved the tour, thanks for sharing!! Great tips! Especially about avoiding labels. Our homes are so much more comfortable to us and those we share them with when we just do what we like without worrying if someone else will say it doesn’t look right. So glad to be on this tour with you! PS I lol’d at “decor mutt”! so great to be with you too…and I am a mutt for sure! Awesome touch of boho feel! Thank you for the tour and tips! you are so welcome, thanks for coming by!